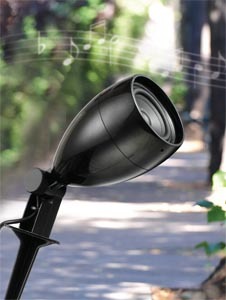 The LS3-PE Landscape Outdoor Speaker Pair is an ideal set if you're adding sleek, modern touches to your outdoor space. 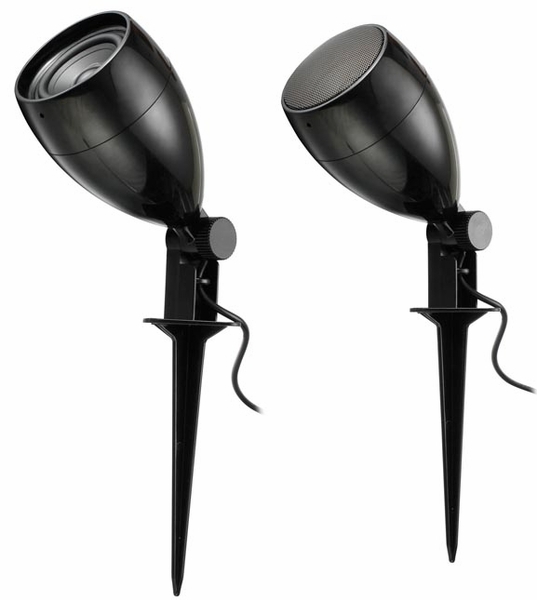 These speakers provide superior audio quality and feature sealed enclosures that make them completely weatherproof. Each comes with an integrated drive-baffle assembly to deliver powerful sound where you work, play and spend time with family and friends. 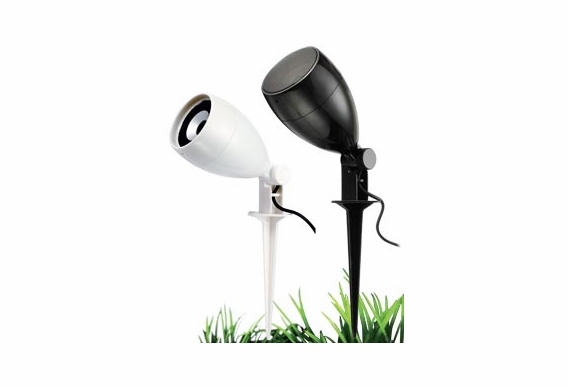 The LS3 Landscape Outdoor Speaker is specifically designed to provide excellent audio performance and blend in with your landscape environment. With sealed enclosure and supersonic design, integrated drive/baffle assembly, it will deliver great sound to your backyard. I NEED TO RUN 12 TO 16 OF THESE SPEAKER WHAT AMP DO YOU RECOMEND AND HOW DO I WIRE THEM? What are the speaker's enclosures and mounting hardware made of? Can I order a replacement stake? My landscaper broke mine. How long is the speaker wire lead? can I get in white? How do I (and what would I need) to utilze these speakers with a tv outside? 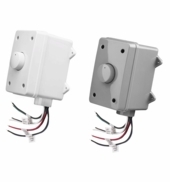 Has anyone set these up in a 70v system? I want to use 10 or more of these speakers and want to make sure the sound isn't degraded if I use them as 70v speakers. Hi Mike, These should be fine running on a 70v system; just make sure to run 70v transformers for each speaker. Obviously they're small speakers, but they should be great for background music off a 70v amp. Can the stakes be removed? Are there any other mounting options besides the spike in the ground? would any mounting brackets for walls or ceilings work with these? Hello Casey, There are not really any other mounting options for this model. 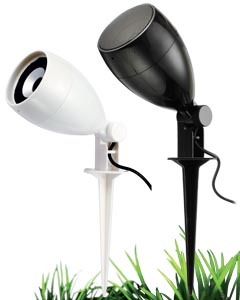 Its main purpose is to be mounted in the lawn or garden. 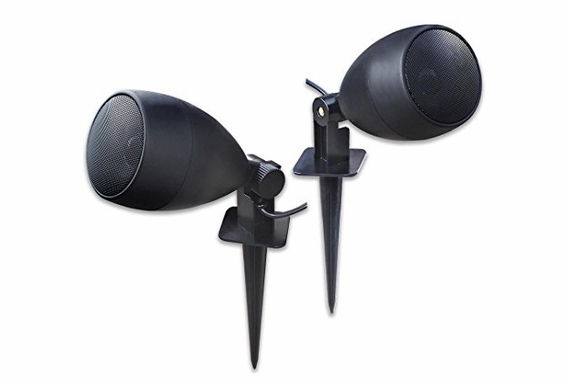 Have you looked at some of our wall-mounted patio speakers? 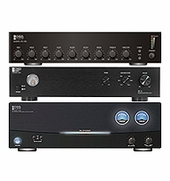 Will it work ok if I use the EW70V transformer on 8 (4 pair) of these speakers and power with the OSD PA-150 amplifier? Hi Travis, Yes - that should work just fine. Just make sure not to overpower the speakers. How long can I run wire without losing quality. I plan to install these at two back corners of my pool. A run of about 50' from the amplifier. Deciding on whether to get these for my patio. 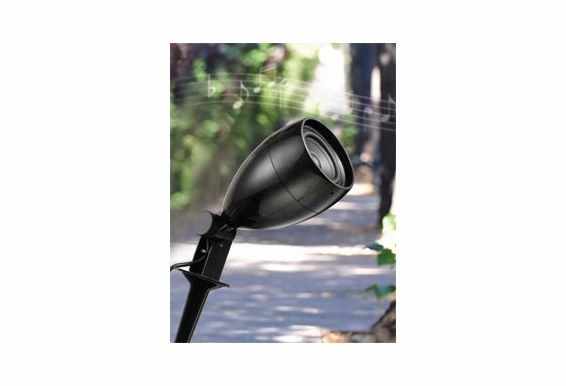 The description states the frequency response as "150Hz - 20,000Hz". However the official Owner's Manual posted as a pdf document, states "150Hz to 200Hz". I find it hard to believe that they wrote a typo in the owner's manual and have not corrected it. It the manual is correct then the speakers are not what I need. Can someone verify which is the correct spec for the frequency response. Thank you very much! Would these pair well with the OM-Sub 200 subwoofer? I want to produce full sound at lower volume around a firepit area. Is this a speakercraft OG3? I do not see the brand name somewhere, but they look like a 1:1 copy? How much is the total weight of the two? Looking at getting these. Is there an iPod/iPhone dock or player that you know of that these would easily hook up to. I don't have an amplifier or anything and want to be able to easily hook the speakers up to my iPhone. Thanks! 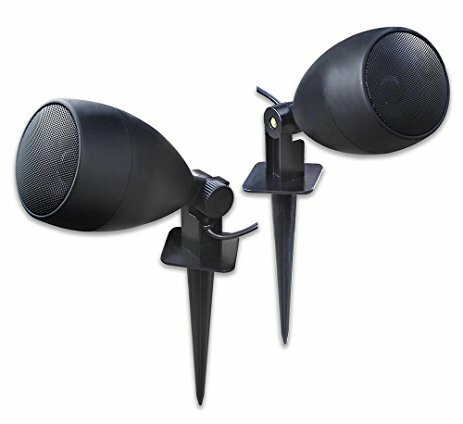 What are the dimensions of the speaker above the spike? 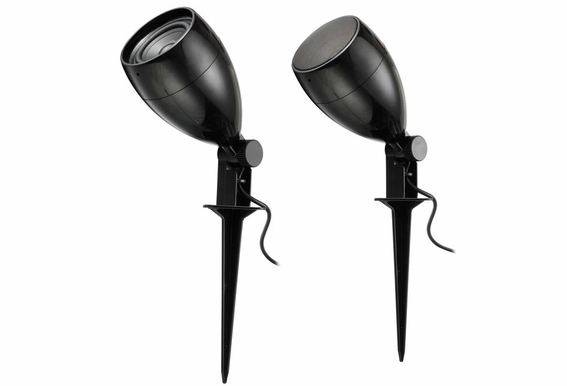 Can they be used outdoors in gardens where there is no protection from the elements?